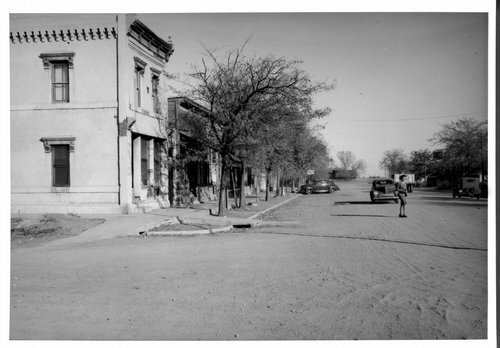 This photograph shows a street scene in Selden, Kansas. Visible are a few automobiles and a woman crossing the street. For a similar view from the 1890's, see Item Number 218941.